Dr. Keith Bellovich is a transplant nephrologist. He is a graduate of Michigan State University College of Osteopathic Medicine. Dr. Bellovich completed his residency and fellowship at Henry Ford Hospital in Detroit, Michigan. He is board certified in nephrology. His special interests include glomerular ... Read More diseases, kidney stones and hypertension. Dr. Bellovich provides state of the art care for all people with illness related to kidney disease including hypertension, kidney stones, dialysis, and kidney transplantation. Areas of special interest include: glomerulonephritis, kidney transplantation, kidney stone prevention, and diabetic kidney disease. 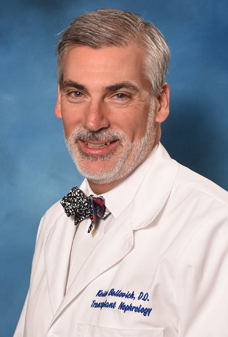 Dr. Bellovich was recognized as one of metro Detroit's top kidney specialists by Hour Detroit magazine for 2008. Keith Bellovich, DO offers services at multiple MI locations.